Germany has blamed "geopolitics" such as the crisis with Russia over Ukraine for a sharp cut in its official growth forecasts. It's official: Germany is hurting from the Ukraine crisis and mediocre global growth. Europe's biggest economy sharply cut its forecasts for growth this year and next, citing "geopolitical crises" and the lackluster performance of its major trading partners. The government said it expected gross domestic product to rise by 1.2% in 2014, compared with a forecast earlier this year of 1.8%. The rate of expansion for 2015 is just as dismal: 1.3%. That's an even gloomier prognosis than the most recent outlook from the International Monetary Fund, which last week cuts its forecast for German GDP growth to 1.4% this year, and 1.5% next. The biggest shock to the economy in the past six months has come from Russia, though a slowdown elsewhere in the world hasn't helped. 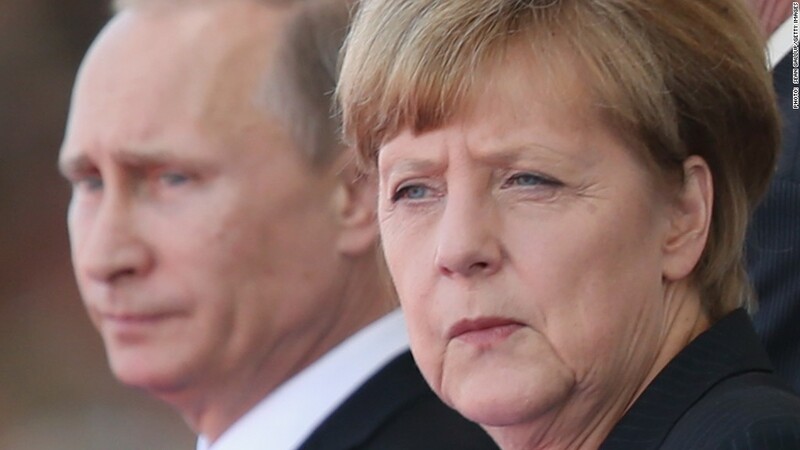 Germany is most exposed to the fallout of Western sanctions imposed over Russian meddling in Ukraine. More than an actual loss of trade, the crisis has dented business confidence, prompting companies to put the brake on investments. The ZEW index of investor confidence has fallen for 10 months running, and in October hit its lowest level since late 2012. A slump in factory activity and exports in August set alarm bells ringing about the health of Europe's economic stalwart. Some of the drop came from the unusual timing of school holidays in the country. All of these factors combined could lead Germany to report a recession in the third quarter, some analysts say. It would be the third recession since the financial crisis of 2008. That in turn could mean another quarter of zero growth for the eurozone. Industrial production across the region was down 1.8% in August from July. Germany is coming under growing pressure to loosen its purse strings and increase state spending on investment. But other economists say that won't be necessary and Germany should rebound quickly, thanks to rising wages and very low levels of unemployment.